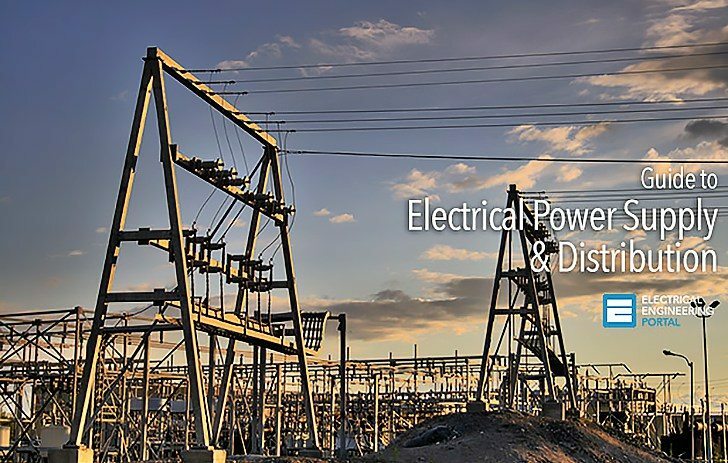 Electrical power supply and distribution features will be planned/delineated concurrently with planning stages of new installations and/or new facilities on existing installations. This form provides information necessary to categorize the power requirements of the project. Two vital pieces of information are contained in the form: the scope of the project which includes restoration, new facility, or new installation (these all require different approaches); and the mission classification which includes mission essential, or mission support. The next part of the design process involves estimating the power load requirements; defining the measures to be employed to meet the criticality requirements; and defining the project power source requirements. At this point a majority of the design bases can be formulated from the previous assessments and results, and final design features and configurations can be developed. Electrical power supply and distribution systems for new installations will conform to prevailing utility company practices for that geographical area insofar as they do not conflict with criteria, standards, and policy contained within this manual. Design for electrical power supply and distribution systems for new facilities on existing installations will be coordinated with the Facility Engineer or the Base Civil Engineer to assure compatibility with the electric utility master plan. Designs will be compatible with existing construction insofar as it does not conflict with criteria, standards, codes, and policy contained within this manual. Only radial, loop, or selective configurations as illustrated in figure l-l will be used. The configuration proposed will be commensurate with the degree of reliability required by the mission or use of the facility. The additional cost required to install loop or selective systems will be justified. Individual components such as loop or selective switches at transformers will be considered where the project will need increased reliability in the future. Special cases, involving large demands or high reliability requirements, may make the installation redundant sources of supply advisable. Hospital primary circuit arrangements will be in accordance with the requirements of MIL-HDBK 1191, Medical and Dental Treatment Facility Criteria, and other Medical Facilities Design office criteria. Shortcircuit and protective devices coordination studies will be in accordance with IEEE Std 242 and TM 5-811-14. Both linear and nonlinear loading will be considered. Selection of protective devices and switchgear for a new electrical system will be based on a short-circuit protective device coordination analysis. For additions or modifications to an existing distribution system, the analysis will include all of the protective devices affected in the existing system. All protective devices will be properly coordinated to provide selective tripping. Electrical power supply and distribution systems will be designed so that expansion will be possible. Refer to IEEE Std 141 for additional and more detailed information regarding the expansion of electrical systems. I want to download this book.